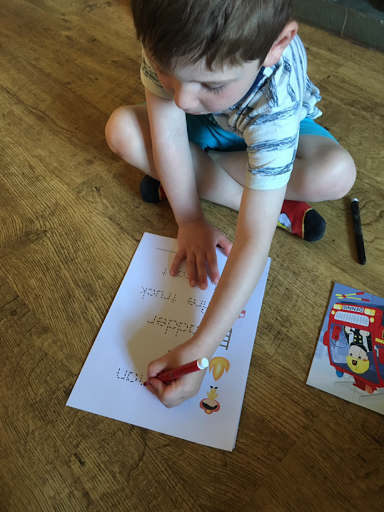 We are really trying to cut the amount of screen time T has at the moment and so I'm trying to give him a few activities each evening to keep him occupied whilst we're getting dinner after getting home from work. 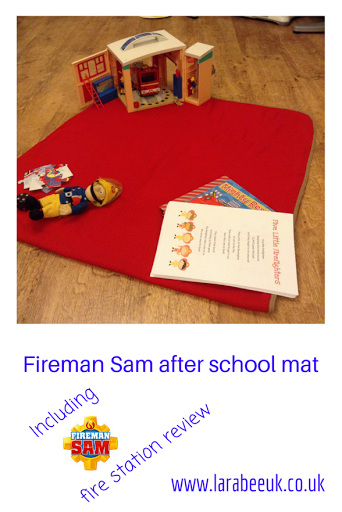 The after school mat is something that Becky from 3 princesses and 1 dude and I came up with a couple of years ago, to keep our littles busy in that tricky Mum time of after school (or nursery!) and before dinner/bed. For this mat, I found some great fireman printables online which included a cute little rhyme. There were also some writing sheets which T loves to do. I also used an old puzzle which is now far too easy for T to create a little game. We used a dice and each player took turns to roll, if we rolled an even number you could put a piece of the puzzle down, the winner being the person who places down the final piece. 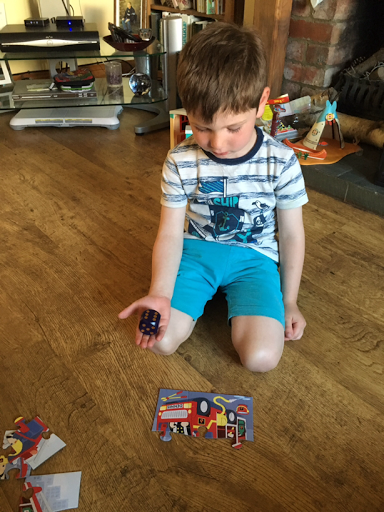 T loved this game and it's a great way of using those puzzles which otherwise wouldn't be used anymore! 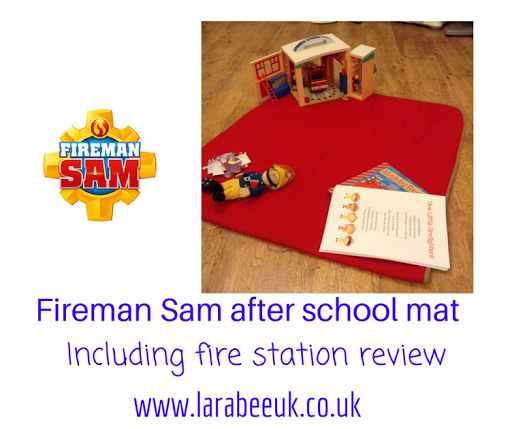 We have also been lucky enough to be sent the new Fireman Sam Fire Station for review which inspired this mat. T used to be obsessed with FMS, and so when he saw this all his memories came flooding back and he could wait to get out Jupiter and start role playing with the set! 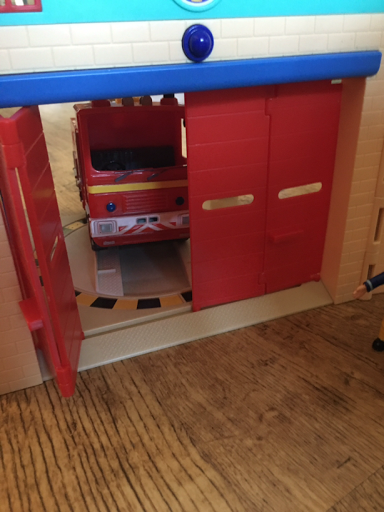 This set is based on the new TV series and features the *new* Fire Station. 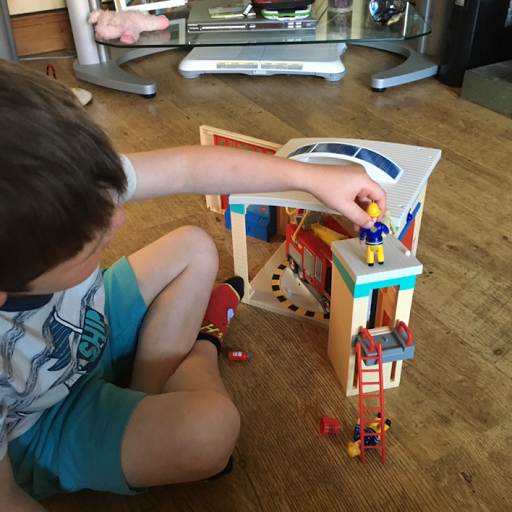 Fireman Sam Electronic Pontypandy Fire Station is priced at £39.99 and is available from Character Online. Personally I think that this is quite pricy for what you get in the set. Jupiter is not included and although it claims to be 'electronic' there's only a little control desk that has flashing lights and sounds, I actually think more could have been electronic, like the light on the outside and the lift, for £39.99 I would expect a little more. Having said that the set is great for small world and role play and scenes from the cartoon series can be re-enacted with the characters. T found the firemans pole quite tricky to get working, but overall loved playing with the portable set. He really liked the control desk and the addition of the 'dolly' which is featured in the cartoon. 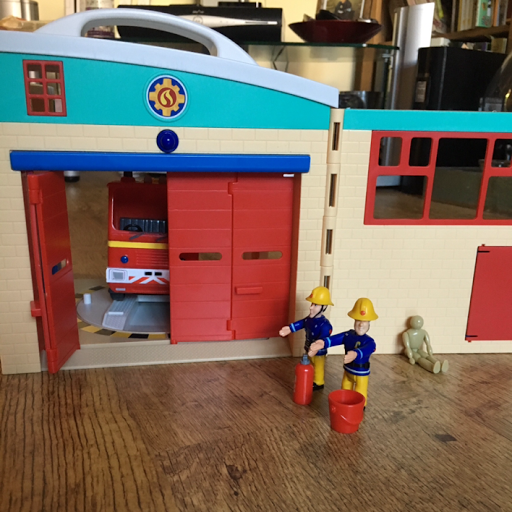 Also included in the set are Fireman Sam and Elvis. 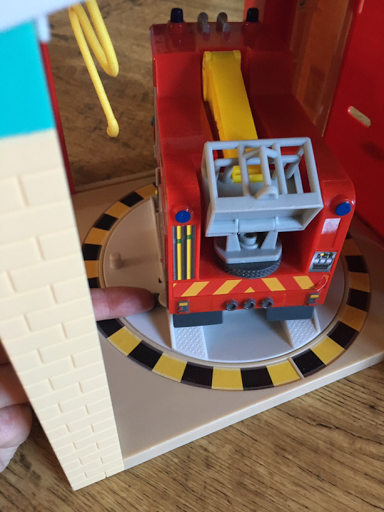 Disclaimer: we were sent the fire station to play with in return for our honest review. I am trying to reduce the screen time my kids have daily too so thanks for sharing this. I think it is great that you are cutting down T's screen time. The after school mat looks absolutely perfect! I really like the idea of the after school/nursery mat. It's great that you got some printable and created a game with the puzzle, sounds great. Also, the fire station looks really good! My little guy would love it. The fire station looks fantastic! Really love the idea!